Just because a mother has passed away, there's no reason her family shouldn't continue to celebrate Mother's Day and pay tribute to her memory. Reading a poem to honor her is a lovely way to bring her back in their midst as they share favorite memories of her life. You've lost your guiding star. And chased nightmares away with a song. And your very first day of school. And you discovered life truly wasn't fair. And how close the two of you were. Thinking of you on this day above any other. That she became a mother. But your achievements still shine in this world. And we pass them on to our children so they prosper. Laugh a lot, and sometimes even cry a little. Until we meet again in Heaven. Of all the things I miss about you. With love shining from your eyes. So hard that it made you cry. How gentle and kind they could be. You'd wrap me up tight as could be. The way it lingered in the air. And I get a sense that you're there. Your words soothed me like a song. I make a silent wish. Whole, and safe, and sound. And for Heaven we'll be bound. And I still miss having you near. And I never once doubted your love for me. A life I still hold so dear. Than stand here with tears in my eyes. And you'll live on as long as I am alive. It's Mother's Day, and my thoughts turn you you. It's the most difficult day of the year to get through. How you'd comfort me and tell me everything would be okay. And bring a smile to my face instead of wearing a frown. Because your words flow over me like water over a mill. Your words pour from lips like a message sent from paradise. 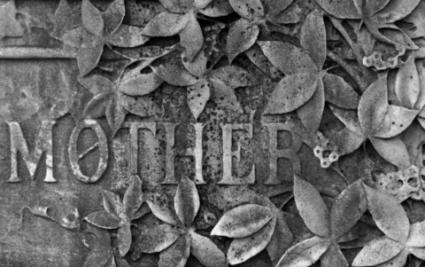 Still looking for just the right poem to honor your mom's spirit and life? The following poems bring different perspectives to the day and could easily be adapted to suite the occasion. My Friend... My Mom - This poem speaks about a mom eternally being a part of her son or daughter's soul. The poem Mom, also found on the same page, is filled with childhood memories of how a mom always made things better, and it carries a lovely sentiment that's suitable for Mother's Day. Advice From My Mom - If you're looking for a poem that will make everyone smile, give this one a look. It's a collection of phrases that nearly all moms have uttered at one time or another, and you can use it to start a conversation about funny things your own mom used to say. Trust in God's Plan - This poem might be perfect to honor a mom that first Mother's Day when her family is still trying to cope with the loss. It's message to trust in God is designed to bring hope that things will eventually be alright. Gratitude Poem - Although this poem was originally written for a bride to give to her mother, it works very well as a memorial poem to use on Mother's Day. There are a number of ways to share these kinds of poems whether you write an original poem yourself or wish to read a favorite piece composed by someone else. 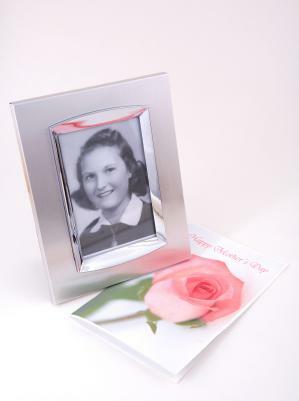 You can include a poem in a note you send to far away siblings on Mother's Day, or you can have everyone gather around a portrait of your mom on Mother's Day and take turns reading poems about her. Just do whatever feels right as you continue honoring your mom on her special day.